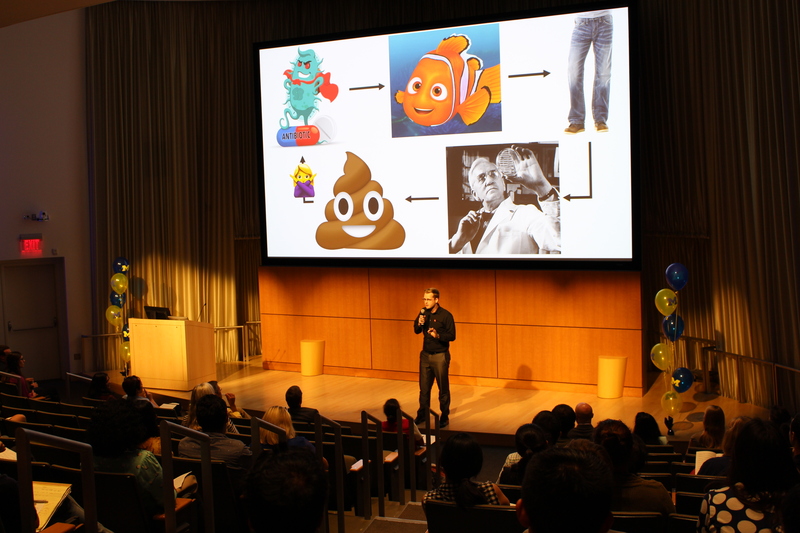 Our Medical School Postdocs presented their research in one slide and 180 seconds during the Postdoc 180 competition finale. This event planned by the Office of Graduate and Postdoctoral Studies (OGPS) Career and Professional Development team, was based on the Three Minute Thesis, and occurred in conjunction with National Postdoc Appreciation Week. First Prize and People’s Choice awards were awarded to Jay Vornhagen, PhD. Second Prize was awarded to Charlotte Vanacker, PhD. Third Prize was awarded to Daysha Ferrer-Torres, PhD. 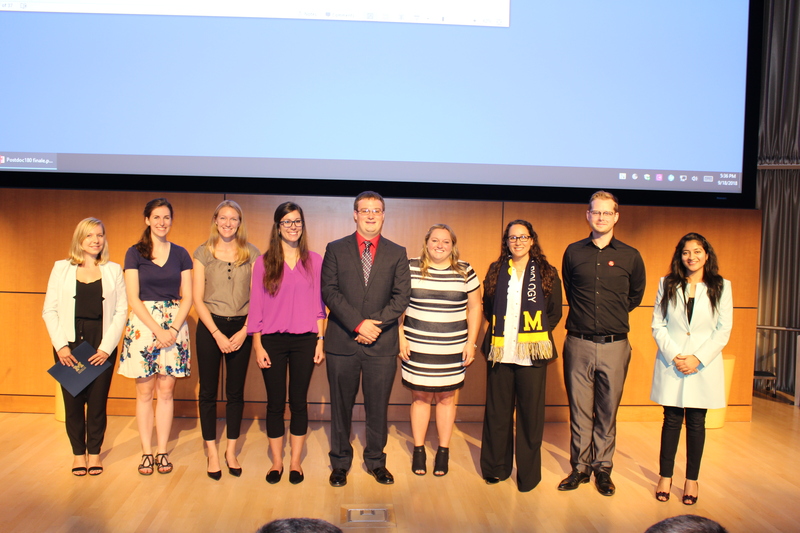 Congratulations to all of our finalists on an amazing display of science communication! In case you missed this event, you can watch the video here. In an article on the event published by UM Health Lab, Shoba Subramanian, Director of Curriculum and Educations Initiatives in OGPS stated, “Postdocs are vital to pushing science forward, but they don’t often get the chance to talk to anyone but other researchers about their work. This competition allows them to practice those skills.” The Office of Graduate and Postdoctoral Studies plans to offer this opportunity annually in coming years.